Protesters in San Francisco: Get out of our state! California wants no part of President Trump’s America. Their battle is likely headed for the Supreme Court. The president visited California in March and spent much of his trip inspecting prototypes for a wall along the southern border, seemingly to troll the majority of Californians who vehemently oppose his signature proposal. “The place is totally out of control,” Trump said during his trip. “The governor’s doing a terrible job.” He said sanctuary cities “breed crime” and threatened to withhold federal funds as a “weapon” against California if it won’t cooperate with immigration enforcement. This summer, Trump essentially blamed the state for its own wildfire crisis, arguing in a tweet that the blazes were “made so much worse by the bad environmental laws.” His aides later argued that the state’s strict limits on logging in forests set the stage for worse fires—a claim environmentalists and even the logging industry disputed. Isn’t the GOP for states’ rights? Yes, but Republicans argue that California is actually fighting to defend the federal overreach of previous Democratic administrations. Many of the state’s lawsuits seek to force the federal government to continue a program or regulation, whether it’s protecting wetlands, requiring oil and gas operators to reduce methane emissions, or providing health insurance under the Affordable Care Act. Some Republicans say politicians in California are merely seeking to capitalize on Trump’s unpopularity there. “It’s all a carefully orchestrated plan to distract California voters from what’s really going on in the state,” said California GOP Chairman Jim Brulte. After California failed to stop the Federal Communications Commission from repealing net neutrality laws, the state passed its own strict standards last month, which the Justice Department immediately sued to prevent. “Once again the California legislature has enacted an extreme and illegal state law attempting to frustrate federal policy,” Sessions said. 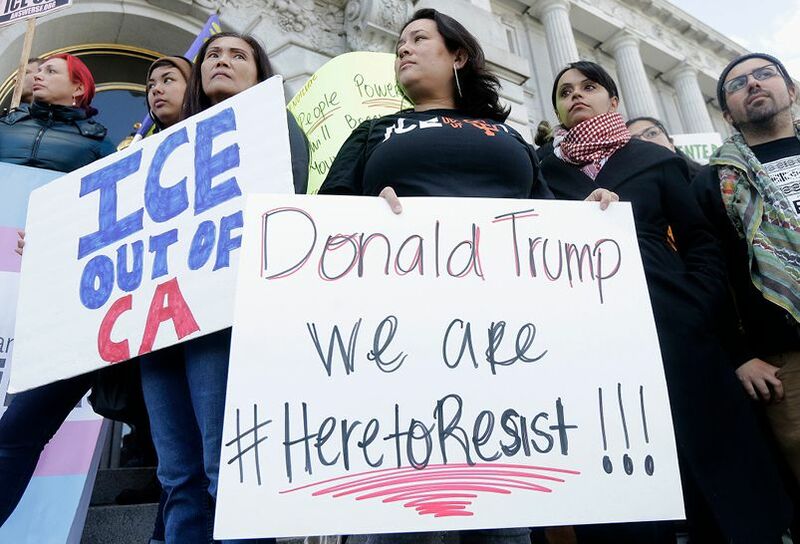 Some of the lawsuits challenging the Trump administration—including those concerning sanctuary laws, auto pollution standards, and a proposed Census question about immigration status—will almost certainly be settled by the Supreme Court. The court now has a solid, 5-4 conservative majority, so California’s attempt to chart its own course could be in jeopardy.